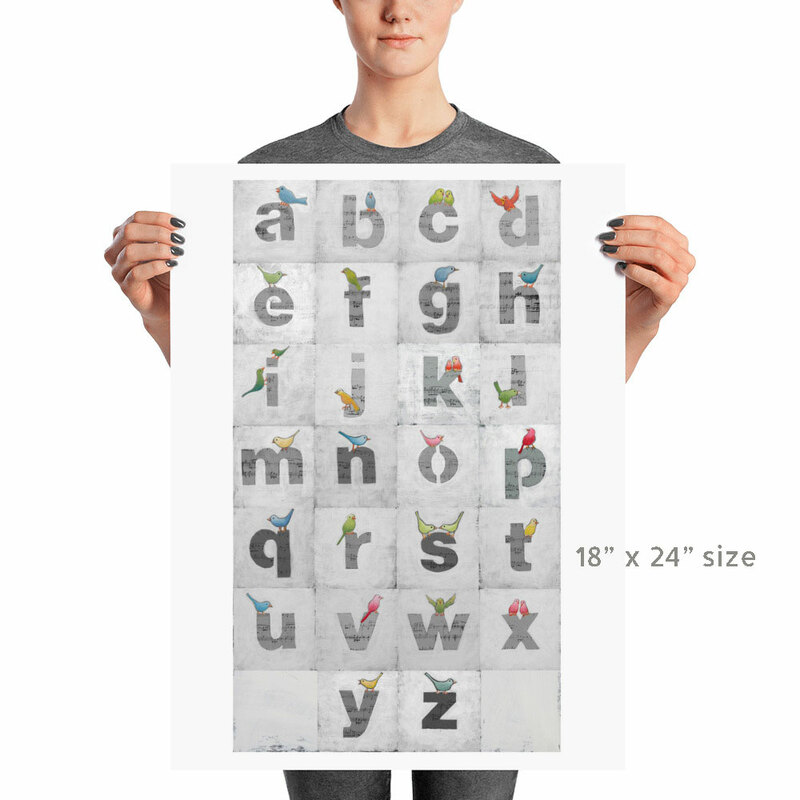 Sweet alphabet letters print for little one’s nursery! 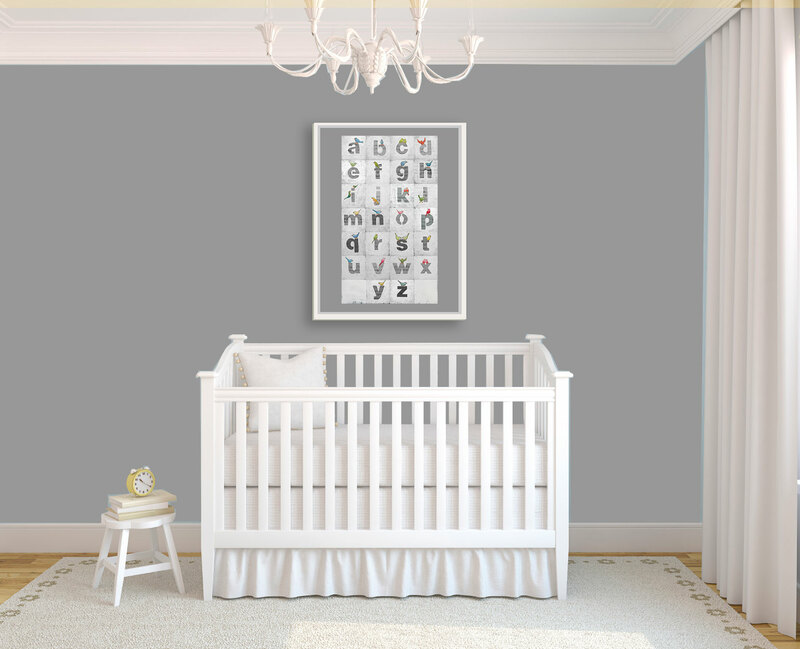 This adorable art print will make a charming addition to your baby’s room wall decor! 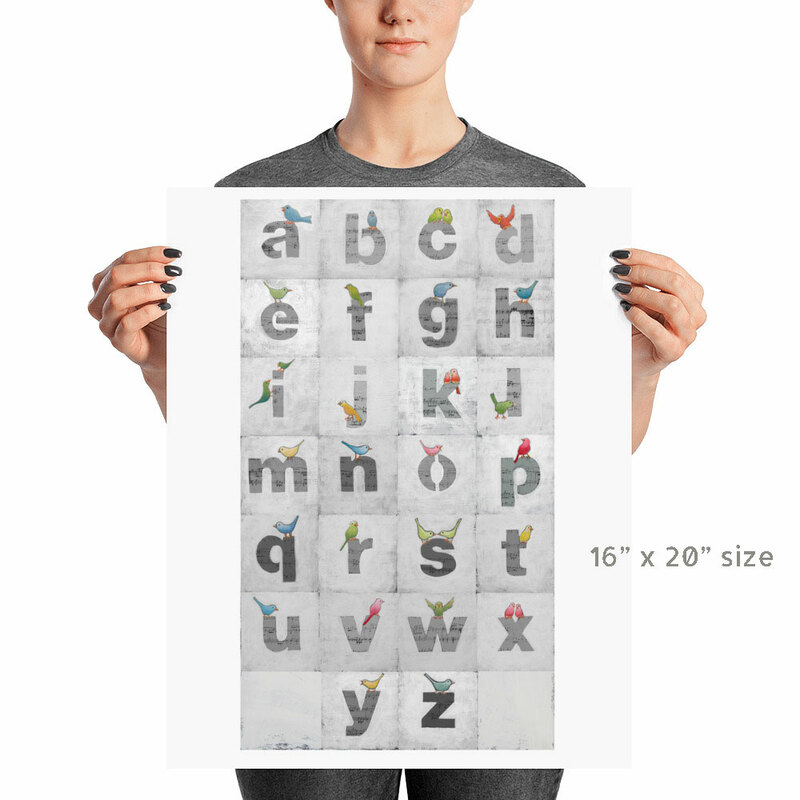 This sweet alphabet letters print features friendly colorful birds and lowercase letters. 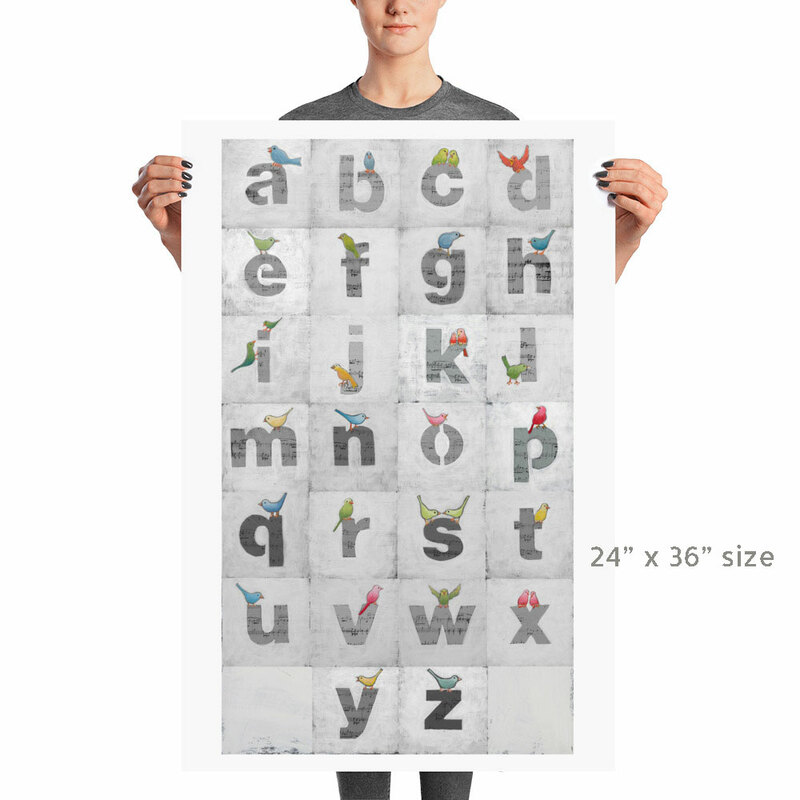 Perfect for your little one’s nursery! 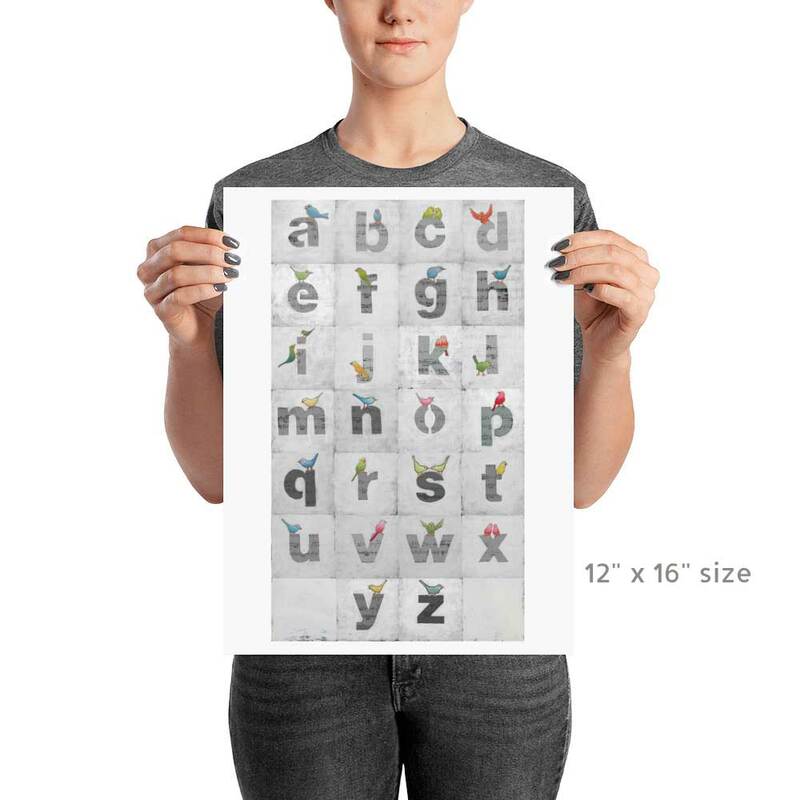 QUALITY PRINTING: Printed on matte poster paper with archival inks. 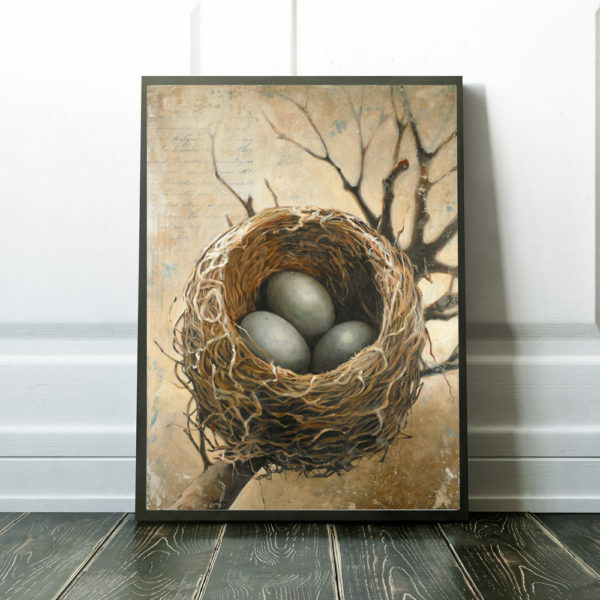 SECURE PACKAGING: Your print will come carefully packaged in a sturdy cardboard tube to ensure safe delivery. 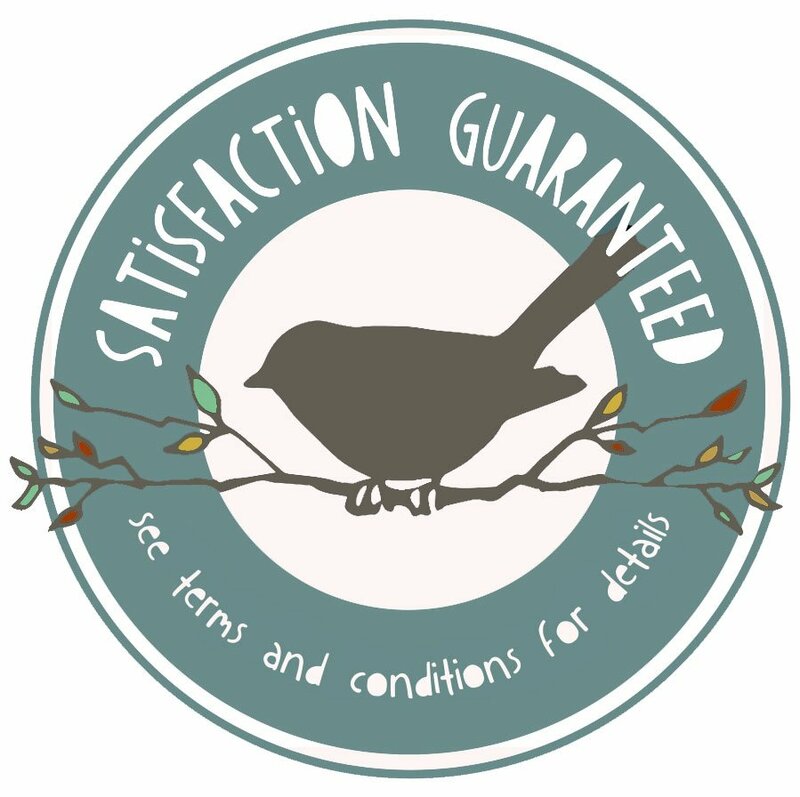 SHIPPING: FREE First Class 3-5 day shipping; please allow 5-7 business days to process your order. 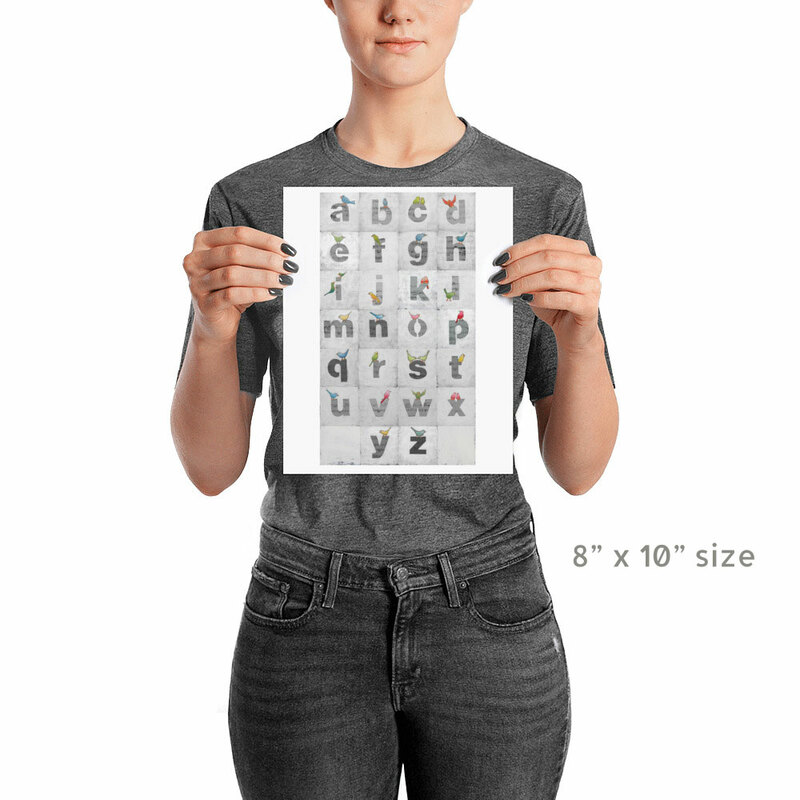 8" x 10", 12" x 16", 16" x 20", 18" x 24", 24" x 36"